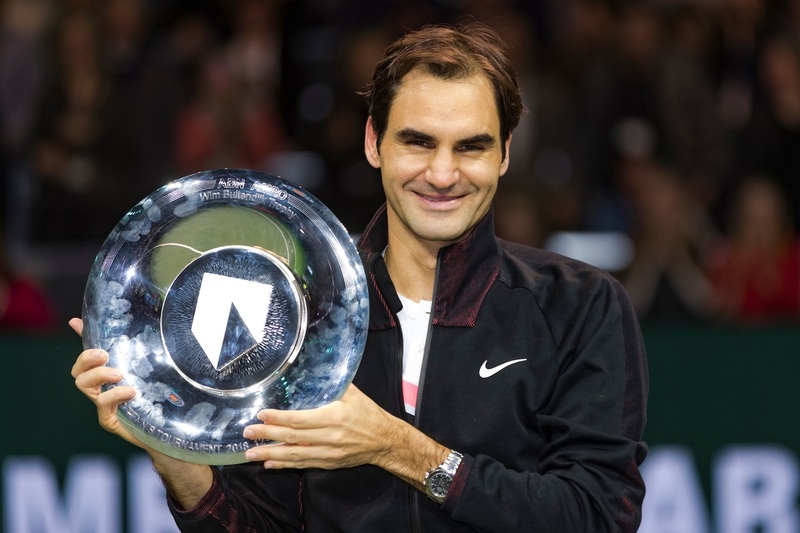 Roger Federer celebrated his return to the top of the world rankings with his second title of the season, swatting aside Grigor Dimitrov 6-2, 6-2 in the final of the ABN AMRO World Tournament in Rotterdam on Sunday. He broke the Bulgarian opponent early in the contest and cruised to a one-set lead at the Ahoy Rotterdam. Putting Dimitrov under heavy pressure throughout the championship clash, he fired 15 winners and converted four of eight break chances. 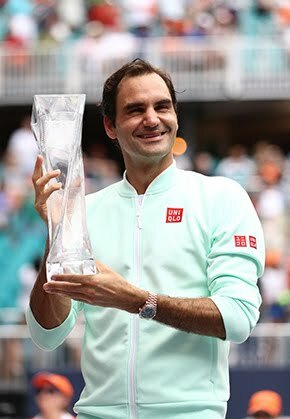 Playing flawless tennis, the 20-times major winner carried the momentum forward in the second set to seal a 97th career title and third in Rotterdam having won in 2005 defeating his current coach Ivan Ljubicic, and in 2012 with victory over Juan Martin del Potro. "It's definitely one of those weeks I will never forget in my life," said Federer. "It's unbelievable to get my 97th title and get back to World No. 1. It's very special. "I was expecting it to be tough today. Grigor is a great player and a great athlete and he's been playing super well in recent months. I thought that this wasn't going to be the result, but he looked to be struggling a bit midway through and I never looked back. I was able to execute my tennis the way I wanted to. I'm very happy." With King Willem-Alexander of the Netherlands in attendance, it was Dimitrov who burst out the gates behind a blistering start. The World No. 4 sent an early message across the net with a stunning backhand winner and running cross-court forehand in the opening game. He would claim seven of the first eight winners and it looked to be a tight affair in the Dutch city. But a netted backhand drew first blood for Federer in the fifth game and he would not look back. The Swiss did not yield an inch from the baseline and a rattled Dimitrov saw a total of 13 unforced errors come off his racquet in the first set. And an immediate break to open the second would prove decisive. 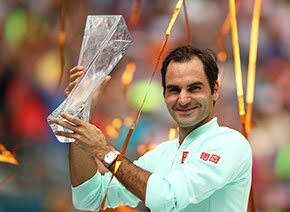 Federer crossed the finish in just under an hour, marking the second straight year he has streaked to a title in less than 60 minutes. He defeated Alexander Zverev in 53 minutes in Halle last year. "I played a great first match and a great last match," Federer added. "In between it was a battle and nerve-wracking, getting back to World No. 1 and managing my expectations and my nerves as well. I was able to handle the pressure and today I played great from the beginning. I pushed forward and I'm very proud that I could win here in Rotterdam." With his victory in the Rotterdam final, Federer clinched a record 20th ATP World Tour 500 level title. He was previously tied with Nadal with 19 crowns. Federer has carried the momentum from a dominant finish to 2017 into the new season, opening his campaign with a ruthless 12-0 start. Since falling to Del Potro in the US Open quarter-finals, he has won 25 of 26 matches, with his only blemish coming in the semis of the ATP Finals (l. to Goffin). Despite falling in the championship, Dimitrov celebrates a 15th final appearance on the ATP World Tour. He streaked to the final without dropping a set, earning impressive wins over in-form opponents Yuichi Sugita, Filip Krajinovic and Andrey Rublev. "It was a great week, but I just came up short today," said Dimitrov. "Anything can happen, but all credit to Roger. He deserves to win the tournament and played unbelievable tennis the whole week. He raised the bar. I just want to take the positives from the week. My goal was to come out here and play well with each match, but I just came up short today. You do the best you can and play with whatever you have." Federer will now decide within a few days whether or not to travel to Dubai for the ATP event starting a week from Monday. He has a home and training base in the UAE and has won the hardcourt tournament seven times.